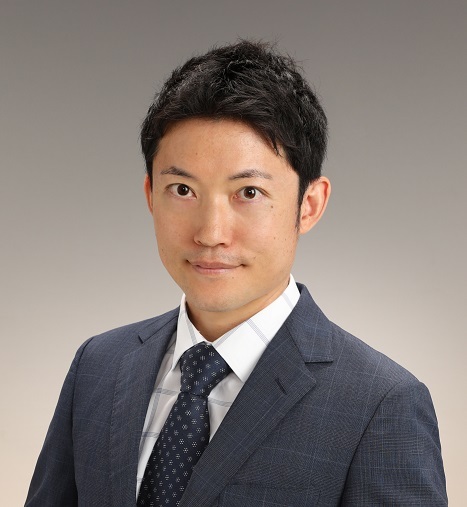 Hiroshi Higuchi is the managing partner of Allegro IP Law Firm. With more than 18 years of experience in the field of intellectual property law, Hiroshi handles patent matters in Japan for the most advanced companies and universities across the world. Before founding Allegro IP, Hiroshi was an attorney with Yanagida & Associates and served as the leader of the foreign clients team. Prior to joining the Yanagida firm, he was an in-house attorney with a Fortune Global 500 company and a US Patent Agent with a large boutique IP firm in DC area. He is qualified as a litigating attorney and received a bachelor’s degree from the University of Tokyo. Kaori Kohno brings an extensive technical background to her intellectual property law practice, focusing primarily on pharmaceuticals, biotechnology, and chemistry matters. She counsels clients on complex patent procurement matters. 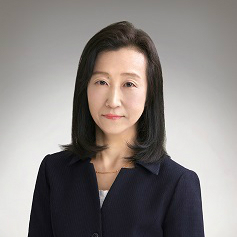 She has over 20 years of experience as a prosecutor before the Japan Patent Office. In addition to her prosecution experience, Kaori has developed vast experience in complex proceedings, such as appeals and oppositions. Before joining Allegro IP, she was an attorney with Yanagida & Associates. Prior to entering law practice, she served as a Pharmacist and a Radiation Protection Supervisor. She received a master’s degree from Kyoto University. Tsuyoshi Sakuma is one of Japanese leading intellectual property experts. He has over 30 years of experience in handling patent matters in a wide variety of technologies including the electrical, mechanical, and software arts. He is also an expert in the fields of copyright, design and trademark matters. Tsuyoshi guides clients through complex procurement and litigation matters. Prior to entering legal practice, he was an engineer at the R&D division with a Fortune Global 500 company. He received a bachelor’s degree from Hiroshima University. Mast cell-derived PGD2 attenuates　anaphylactic reactions in mice. Nakamura T, Fujiwara Y, Yamada R, Fujii W, Hamabata T, Lee MY, Maeda S, Aritake K, Roers A, Sessa WC, Nakamura M, Urade Y, *Murata T.J Allergy Clinical Immunology.2017, in press. PGD2 deficiency exacerbates food antigen-induced mast cell hyperplasia. Nakamura T, Maeda S, Horiguchi K, Maehara T, Aritake K, Choi B, Iwakura Y, Urade Y, *Murata T. Nature Communications. 6:7514 2015. Iwanaga K, Nakamura T, Maeda S, Aritake K, Hori M, Urade Y, Ozaki H, *Murata T. Mast Cell-Derived Prostaglandin D2 Inhibits Colitis and Colitis-Associated Colon Cancer in Mice. Cancer Res. 74(11):3011-9. 2014. *Murata T, Aritake K, Tsubosaka Y, Maruyama T, Nakagawa T, Hori M, Hirai H, Nakamura M, Narumiya S, Urade Y, Ozaki H. Anti-inflammatory role of PGD2 in acute lung inflammation and therapeutic application of its signal enhancement. Proc Natl Acad Sci U S A. 26;110(13):5205-10.2013.
eNOS derived nitric oxide regulates endothelial barrier function via VE cadherin and Rho GTPases. DiLorenzo A, Lin M, Murata T, Landskroner-Eiger S, Schleicher M, Kothiya M, Iwakiri Y, Yu J, Huang P, *Sessa WC. Journal of Cell Science. 126(Pt 24):5541-52. 2013. *Murata T, Aritake K, Matsumoto S, Kamauchi S, Nakagawa T, Hori M, Momotani E, Urade Y, Ozaki H. Prostagladin D2 is a mast cell-derived antiangiogenic factor in lung carcinoma. Proc Natl Acad Sci U S A 108(49):19802-7. 2011.